By popular demand, O2VAPE has released a more powerful, buttonless version of their leading 3.7v buttonless activated vape pen. We got it right! No burnt taste. Big draws. Long life. It’s easy to operate no buttons needed just inhale while you take up to an 10 second draw. For those of you that like to know the numbers, it runs at 3.7 volts & 350 mAH. While this vape battery works with most 510 thread cartridges if you have a cartridge that has no bottom air flo holes please use one of our button batteries. 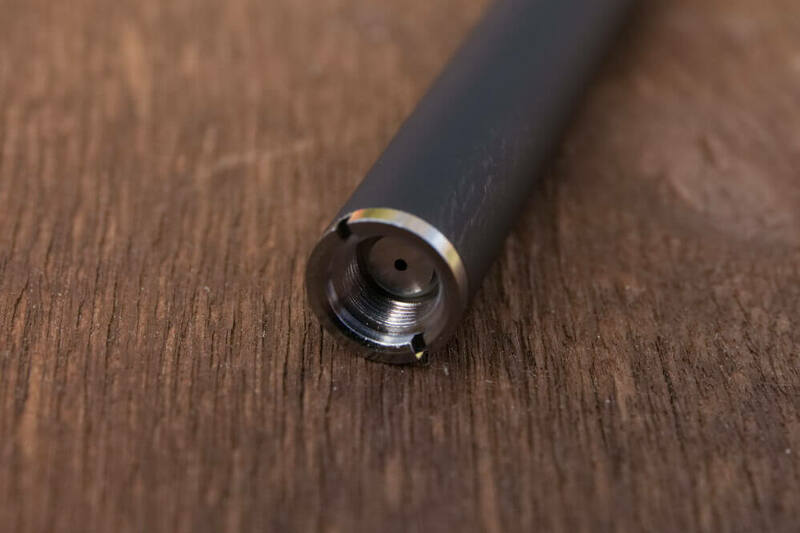 This steel buttonless pen works best with any of our wicked glass vape cartridges or any of our wickless ceramic cartridges and is powerful enough to drive a ceramic glass cartridge as well. *Glass Cartridges are not included with this 510 thread battery. We don’t recommend using this battery with any of the poly carbonate or even our high quality plastic cartridges simply because of the fact that this battery is a bit more powerful then our original buttonless vape pen. Hell yeah it charges! A specially designed usb charger for this battery with every order as well. 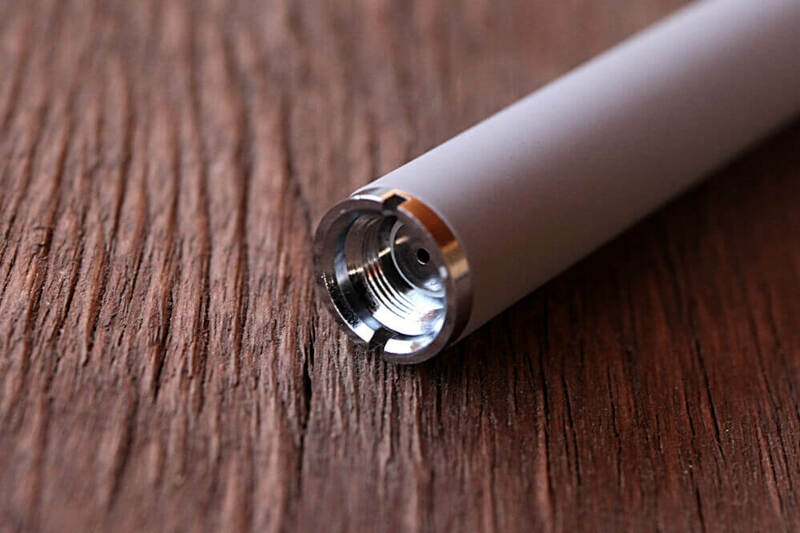 While the pen uses a 510 thread, this charger is specially made to charge a stronger lithium ion battery and has a design that will work specifically with this battery. When charging the light is red and green when charged. This is the pen for you if you are looking for two things 1. A stronger draw and a long life span. Depending on use one charge can last you up to days of frequent use and big draws. And 2. The best battery for a ceramic, wickless, or glass 510 thread cartridge. That means you don’t have to worry about the nasty burnt taste that you get with a battery that is too strong, just use our glass cartridges! Get the Perfect Puff and the functionality that comes with a buttonless activated vape pen with the O2VAPE Steel Buttonless Pen! Looking for something we don’t offer with this product? Leave us a comment and we will get right back to you with a solution or special order! Looking for custom vape batteries? Reach out to us here! I have had a few of the “stylus” versions but really enjoy this version much more.Slightly bigger than average 510 oil cartridge but still very sleek and professional. Happy customer! Great battery for the price. Just bought a few more! The product feels substantial, charges quickly and works well. It came well protected in worthy and professional packaging. 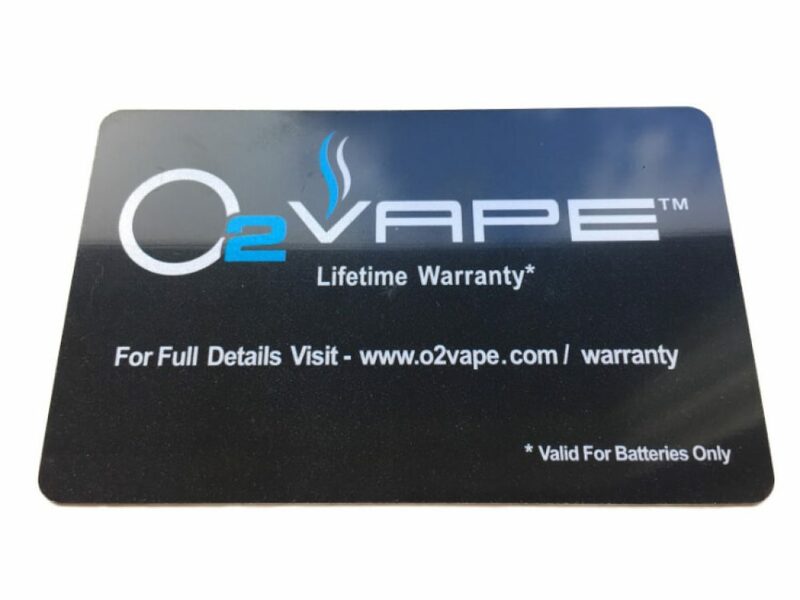 I would recommend O2Vape and this product to everyone who wants a quality instrument. It’s the best buttonless vape pen I’ve ever used. It’s so easy for my crippled hands to use. The charge lasts a couple of days. I appreciate this really cool invention. I have friends who want them. I got 2 of them. I can’t wait for the cases as they will travel nicely. Thanks folks for helping me and caring. Enjoy always. I bought a cheap battery off Amazon, and got exactly what I paid for. I did a bit more research, and wound up buying a 2-pack of these, costing just a couple bucks more per. I can already tell how much further my dollar went buying these. The battery is much more solidly built, and gives substantial draws. I’d buy from them again in a heartbeat. Thanks so much Mike and glad you like them! You are right you get what you pay for! not to mention our unconditional LIFETIME WARRANTY! I’ve tried the rest and this is the best! – Now only if I didn’t keep losing them! I dropped mine off a dock into shallow water of a Pocono lake. Fetched it out within 15 seconds. Love the pen will buy more!